Check out Roy Campanella hanging out with some little leaguers at the place he called home during Spring Training - at "Campy's Corner." Dated to March 1959, photo found on eBay, he would often regale players and fans alike with stories of yore. Ken Rosenthal at Fox Sports writes something funny. He makes some outlandish predictions for every team. Dodgers: Team president Friedman, reacting to a series of injuries down the stretch, buys Cuba to fortify team with major-league-ready replacements. Via Jesse Sanchez at MLB.com, "Roberts not planning to use iPad during games." "I'm used to looking at paper and I kind of have certain things that I like to go to and reference when you walk through an individual game," Roberts said. "To navigate through an iPad, I don't want to have to worry about it loading up. I want to know where I have to go for information." 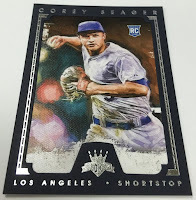 Via Eric Stephen at True Blue LA, "Rob Segedin earns trip to Freeway Series." "He has opened our eyes. He has ability to catch the ball at third and at first, to have right-handed power. He runs well, moves well. He just loves to play the game. He's one of the first guys in here all camp long. He's routine-oriented and the guys like him," (Dave) Roberts said on Sunday. "I don't see him breaking camp with us as far as making the opening day roster, but I do see him helping us this year." This is a nice brief rundown. Via Justin Wagner at Citizine, "Dodger Game Food and Drink Guide." 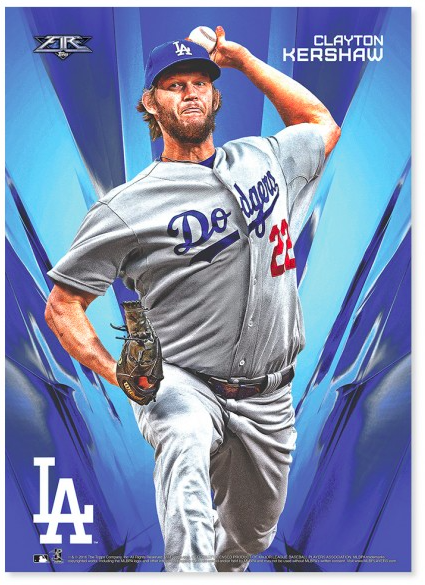 For the second straight year Topps releases their Fire Baseball set directly online for collectors. 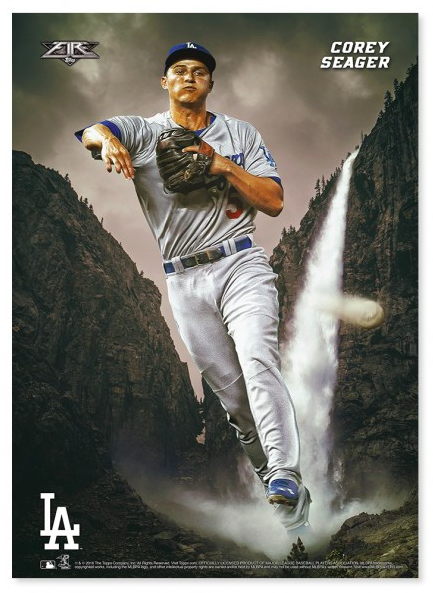 It includes 20 different players as wall art and jumbo cards, and features two Dodger players (Clayton Kershaw and Corey Seager). Go here to check them out. 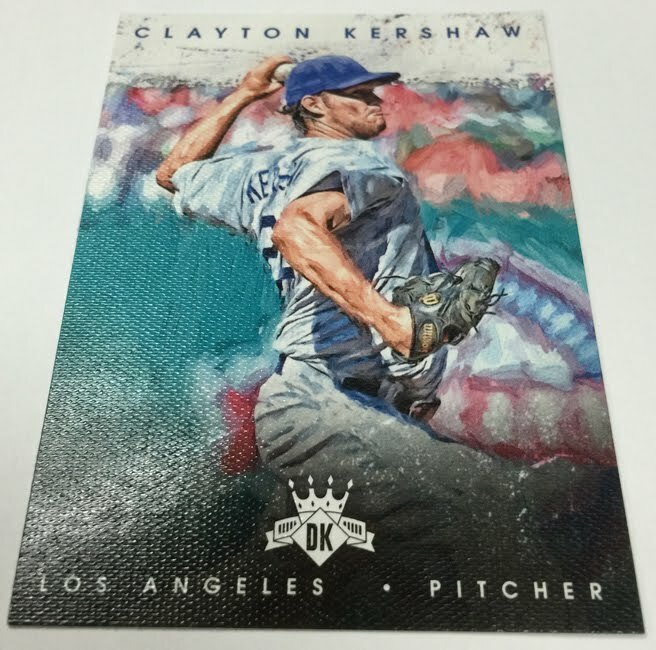 The Panini America blog shared a bunch of preview pics of their upcoming 2016 Donruss Diamond Kings set; including the Clayton Kershaw and Corey Seager cards below. This set goes live next week on Wednesday. Go here to check out even more pics.